When I was growing up, there weren’t many choices when it came to kosher wine. When my parents bought our childhood home, my father was thrilled to find that it came with a wine cellar. He was then faced with the formidable challenge of finding kosher wine good enough to bother storing. I remember a time when there were only two wines from Eretz Yisroel available, both from Carmel Chateau Rishon: Vin Rouge and Vin Blanc; basically, the whole range was sweet red and white! Domestic wines were even more limited; while there were a few different brands available,3 Extra Heavy Red Concord was basically all that could be had. I remember both children and adults making funny faces at Kiddush when drinking the small shot glass of wine they felt religiously obligated to endure. No such reactions were evident at a Kiddush when schnapps, herring, and kichel were served! However, over the past 30 years kosher wine has experienced a tremendous resurgence in quality, variety and quantity. Since the days of my father, the challenge of searching for good kosher wine to store in our wine cellar has developed into the pursuit of wine that is actually worthy of being stored. 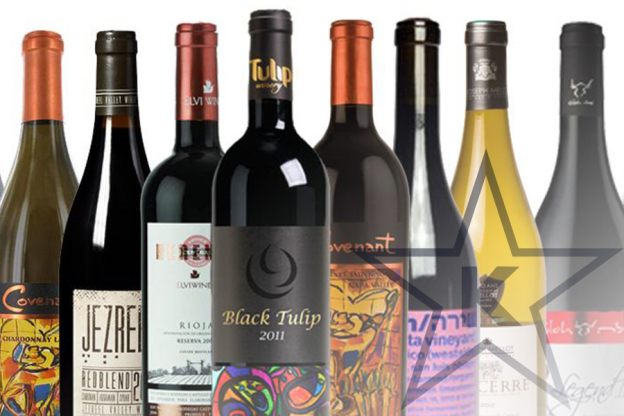 A recent online search4 revealed over 1000 different kosher wines available in the United States produced from a wide range of European countries, in addition to South Africa, Australia, New Zealand and Eretz Yisroel. Noteworthy is the emergence of Israel as a world leader in wine production, not only for the resurgence of this ancient Jewish industry but also for its significance as a harbinger of the coming of Moshiach (Sotah 49). Modern winemaking is a fascinating mix of art and science. Kosher winemaking does not only require all-kosher ingredients and equipment, as well as a Shomer Shabbos staff, but it also demands close attention to the following common issues unique to the winemaking process. The winemaking process is quite complex and weaves together ancient tradition and modern technology. It’s important to understand that the process is really broken down into three or four stages of supervision: 1. Crush, 2. Fermentation, 3. Aging, 4. Bottling. From the time the grapes are crushed (hamshacha),5 the wine may only be handled by Shomrei Shabbos individuals. This requires a kashrus team that is large enough to accomplish all of the tasks involving direct contact with the product in any way until the wine is sealed properly, according to halacha. In certain cases, the requirement for Shomrei Shabbos personnel can even include truck or forklift drivers. Mevushal wine requires a full team of Shomrei Shabbos staff only until the wine is pasteurized in a manner that meets the mevushal requirement. Any time the wine is unsealed, full-time supervision is necessary; however, contact with Mevushal wine may be performed by non-Shomer Shabbos individuals. The ‘must’ or juice is fermented with the addition of yeast and other processing aids for a certain period of time and under varying conditions, depending upon the type of grapes and style of wine that is being produced. Under kosher supervision, the wine must be either under the constant scrutiny of a Shomer Shabbos individual or double sealed properly, according to halacha. Certain wines are aged in barrels or tanks for different periods of time, during which the wine is sealed properly according to halacha. However, there is usually a need for the seals to be opened either for the winemakers to taste the wine and determine the status of the wine or, in the case of barrel aged wines, in order to top off the barrels as the wine evaporates through the porous wood. When opening and resealing the wine, supervision is required; and, in the case of non-mevushal wine, even the drawing of the wine from the tank or barrel is exclusively done by Shomrei Shabbos personnel. Bottling is carried out under supervision. The kosher seals for the bottling are managed by the mashgichim and are designed to provide a double seal, as required by halacha. When non-mevushal wine is bottled, a larger Shomer Shabbos staff is required to ensure that the wine remains kosher by mitigating the need for ordinary plant staff. Although grapes are always kosher, and the other ingredients in wine are seemingly not kosher-sensitive, there are actually a number of issues associated with the ingredients used in kosher wineries. Corks or caps must be KFP, as well. All-kosher wineries avoid the challenge of having to kasher non-kosher equipment. They have the advantage of dedicated on-site mashgichim/staff members who are well trained and expert in the processes needed to achieve the results the winery expects. Generally, having an all-kosher winery also dramatically lowers the number of mashgichim required for oversight, sealing and production. Furthermore, there is no fear of cross-contamination or mistakes with non-kosher product or ingredients. At the outset of the kosher wine renaissance, kosher wine merchants leaned heavily upon the expertise and resources of non-kosher wineries. With centuries of traditions and a wealth of scientific knowledge, non-kosher wineries allowed kosher wine to spring forward in a short time to a level long believed to be impossible to achieve. Making a non-kosher winery partially kosher is achievable, but certainly a challenge. Large tanks with no internal heating mechanism are a challenge and an expense to kosherize. They can be kashered either through milui v’irui,6 filling with fresh water for 24 hours and emptying for three days in a row or through irui kli rishon,7 pouring boiling water on the surfaces. It can be expensive and technically challenging to kosherize large tanks and facilities and requires experienced, well trained hashgacha staff. Kashrus agencies and companies are often required to dedicate kosher tanks to avoid the need for kashering every year. Kosher wine must be constantly sealed or supervised properly, guarding against kashrus or Pesach issues. Chosam B’Toch Chosam seals are not sufficient in some cases when the wine is in a non-Jew’s possession.8 Often, kashrus agencies either rent the areas where the wine is stored or ensure that there is a Jewish ownership share in the wine to avoid this problem. With the advent of wine from Eretz Yisroel, there are certain Mitzvos Hateluyos B’aaretz that must be addressed. Orla – unlike chutz l’Aretz, sofek orla is a major issue in Eretz Yisroel, where it is not permitted. When a vine dies, often a hishtalmut9 is used, the planting of a new vine in the middle of a row of an established vineyard. This creates a challenge because during the first three years, this vine may not be harvested. The Rabbanut Harashit and many hechsherim oversee many vineyards and often use specially trained religious agronomists to identify and prune these vines to ensure they are not harvested. This is a very difficult and tedious process with many challenges regarding oversight and certification, especially in large vineyard operations. Some religious growers have a very commendable policy not to allow hishtalmuyot in order to avoid this problem. Terumos U’Maaseros – must be separated correctly at the appropriate time. There is a new and growing trend of kosher micro-wineries in Israel that are founded in people’s garages. These wineries may present the following kashrus advantages because of their small size, provided the owner is Shomer Shabbos. These wineries are usually Shomer Shabbos and family owned/operated, so there is never a lack of Shomer Shabbos supervision. They are all-kosher and rely on no kosherization. The productions are small and easily controlled. The small amount of work is done easily only by the religious owners, with no pressure to find outside help or expertise. In former times, whenever wine was required by halacha (i.e., Arba Kosos and Friday night), Poskim searched for the minimum shiur allowed. This was often because of the tremendous expense and scarcity of good drinkable wine. Today, as we can see from emerging quality wine productions, we can safely say וכל המרבה הרי זה משובח. 3. Some readers may remember some of the many kosher wine companies in the Lower East Side of Manhattan selling this ubiquitous varietal (Schapiro’s, Hersh’s, Lifshitz’s, Baumgarten’s, Ganeles-Lenger – to name just a few). 4. Search captured at www.kosherwine.com on June 10, 2018 at 10:12 a.m.
9. A new vine is planted to “fill in” the place of the old, dead vine. 12. Nevo Chazan, who operates an eponymous STAR-K certified boutique winery in Moshav Matta, is a wonderful example of a religious farmer and vintner. His vertically integrated winery grows grapes, produces wine and sells it directly to consumers. He is a third-generation Shomer Shemitta, who opens his vineyards to the public for harvest during Shemitta, and does not harvest any of his Shemitta grapes for production. He also eschews the practice of hishtalmuyot, due to the serious challenges of observing Orla properly. Nevo is an example of a Mehadrin winery striving to make the best wine at the highest possible level of kashrus.